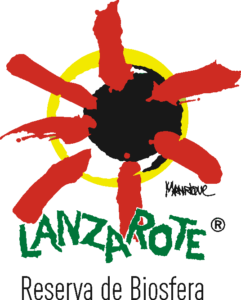 Lanzarote, is a classic destination in Europe for its superb all-year round conditions for windsurfing and kitesurfing, offering a wide range of spots for all levels for you to fully enjoy the wind the waves. 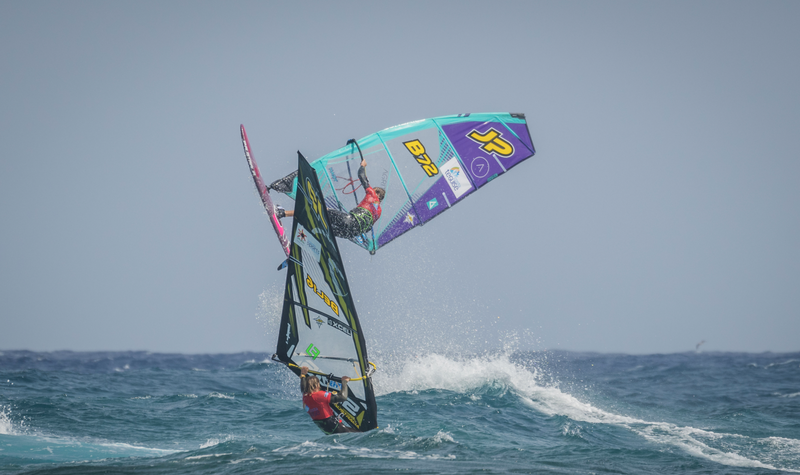 These conditions are what made the beach of Las Cucharas, in recent years, seat of the European Windsurfing Championship, offering qualification points for the European Freestyle Pro Tour (EFPT), attracting some of the best windsurfers in the world. If the wind brings you to Lanzarote, you are most likely bringing your sails with you! The beaches of Las Cucharas and Los Charcos, both in Costa Teguise, are the best places in Lanzarote to practice windsurfing and kitesurfing, where the little ones and the beginners meet (at the bay), as well as the most experienced ones, to enjoy perfect sailing conditions with reef waves and never-ending winds. Around these two beaches there are several stores specific for windsurfing and kitesurfing equipment, such as Pro Center Lanzarote or Windsurfing Club Las Cucharas, where you can rent your equipment or complement your own equipment during your holidays. Siroco: This wind comes from Southeast of the island and is characterized for being hot and accompanied by suspended dust, blowing in different intensities, which make you enjoy the waves on the west coast (Famara) of the island. Southern Winds (S-SW): When the wind comes from the south, it is not that it is hot, but there is usually depression to the west of the Canary Islands, which brings along rains and choppy sea waters that will make navigation difficult. Luckily, these winds are not very frequent! Northern Winds (N-NW): These winds of different intensities, generated by depression areas, are synonymous of clear skies, excellent visibility and magnificent sunsets that will enhance your sailing in the water. The main spots that usually operate most frequently on the island, in addition to the aforementioned beaches of Cucharas and Charcos, are the Charca del Club La Santa (recommended for beginners) and the areas of Jameos del Agua and Famara (ideal for the more experienced), especially between the months of April and September. 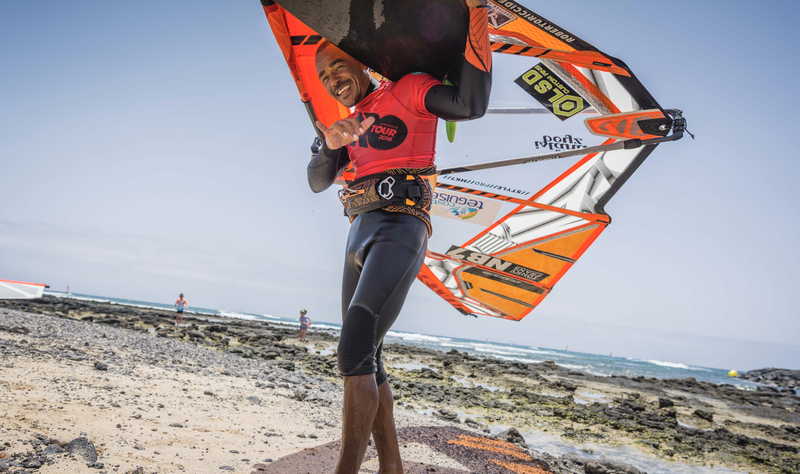 Download our Lanzarote windsurfing and kitesurfing guide to learn more on where to sail, and enjoy the wind during your holidays! There are also many additional activities for windless days! Discover a magical world under the sea, scuba dive or explore the hidden corners of the volcano island and find more reasons to visit Lanzarote.